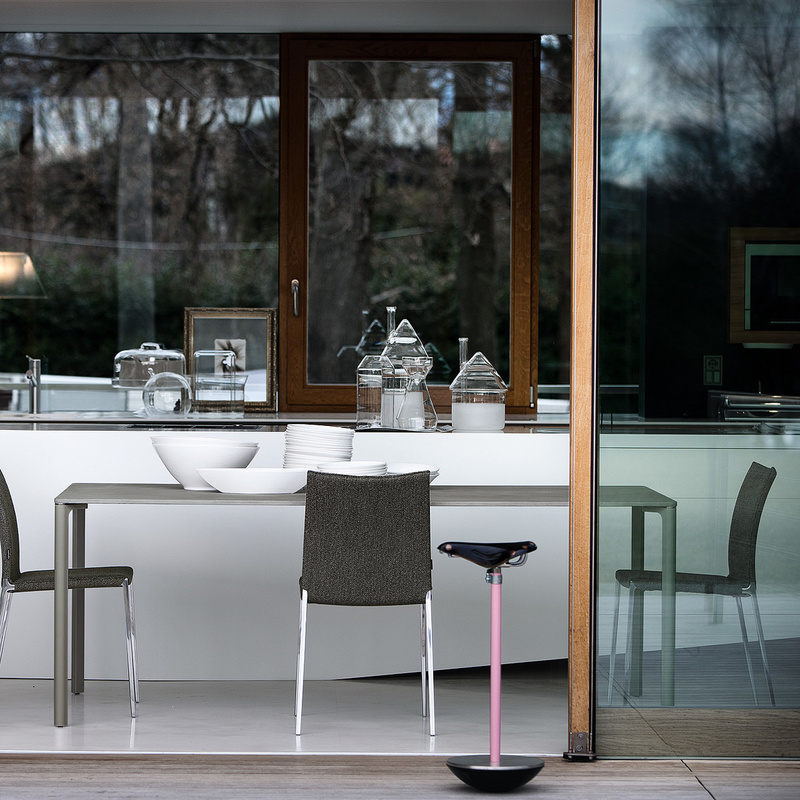 Presented by Zanotta, the Lia chair in cowhide leather is solid, comfortable, and with an eye-catching look, perfect to be used together with other items in the collection or as an independent piece. 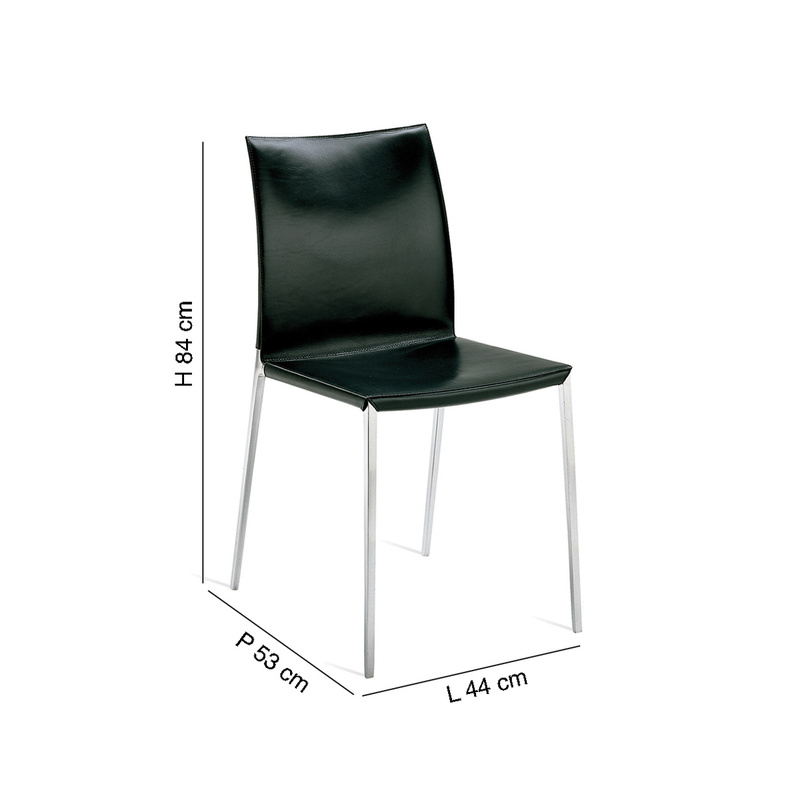 The main feature of this product is its versatility, as it is a particularly elegant chair but at the same time suitable for different environments. In fact, it can be placed in a home office, perhaps along with a modern-looking desk but it fits in perfectly with all kinds of furnishings, including the most classic ones. In fact, the materials with which it is built are both practical and beautiful leather is the real protagonist of this chair, making the seat very comfortable and welcoming, and fitting in whether you place it in a traditional setting or in a more modern one like a young boy’s room. 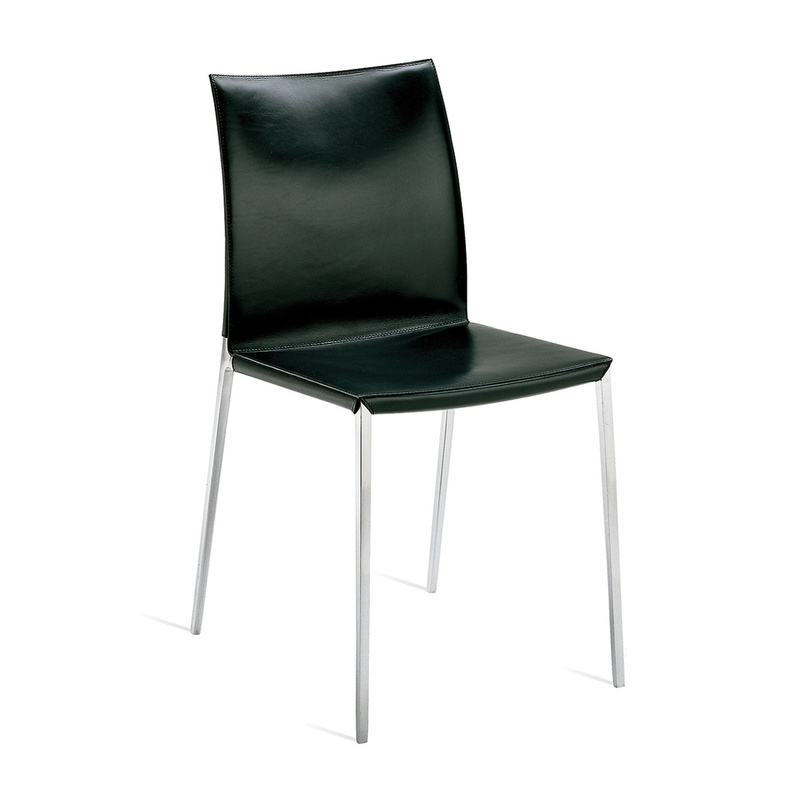 The Lia chair also features an aluminium alloy frame, extremely lightweight and handy as aluminium is a material that can be kept in perfect condition without requiring special maintenance; it will be enough to ensure regular periodic cleaning with water and a specific detergent. But this chair can also be placed in a sophisticated living room, matching it with more chairs of the same type to create a continuity of style that will surely be appreciated by your guests. Another idea might be that of purchasing this chair as a complementary piece of furniture to serve as an additional seat near the couch or armchair. The Lia chair, in fact, provides a remarkably comfortable seat, helping you acquire a relaxed posture to fully recharge your batteries. It will be your ideal ally in the evening when you return home, tired from work. Alternatively, you can buy two of them to create a comfortable environment that is ideal for hosting a loved one. Information: The non-removable inner lining is made of nylon fabric, while the outer, also non-removable, lining is in cowhide leather. 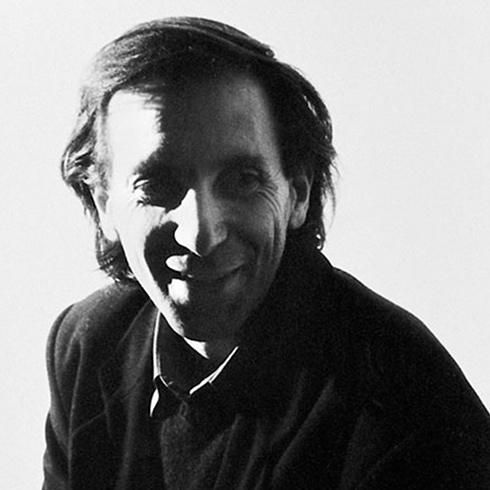 Born in Milan in 1942, graduated in Architecture at the Politecnico di Milano in 1969, he started the same year in collaboration with architect Marco De Carli in the field of design, architecture and graphics. In the 1970's it was the participation with architectural and furnishing proposals at the event "The living space for the 70s house" promoted by the Lissone Furniture Office in collaboration with the Faculty of Architecture. In 1975 he participated in the exhibition "The Living Space in Public Buildings" realized in connection with the XV Triennale of Milan. In 1979 he designed the selected Cartile bed for the exhibition "ltalienische Möbel Design 1950/80" at the Stadt Museum in Cologne. During the following years he has been in the field of design and artistic direction with furniture companies. 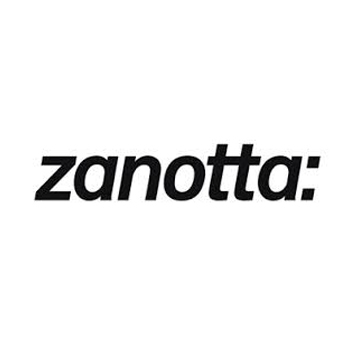 Roberto Barbieri has collaborated with Zanotta since 1994 until his disappearance in 2012.